With the launch of the GX and GT series, MSI continues to increase its control of the gaming sector. The company has a wide product range so that every enthusiastic gamer, who enjoys playing on the laptop, can find a laptop which fulfills his/her needs. 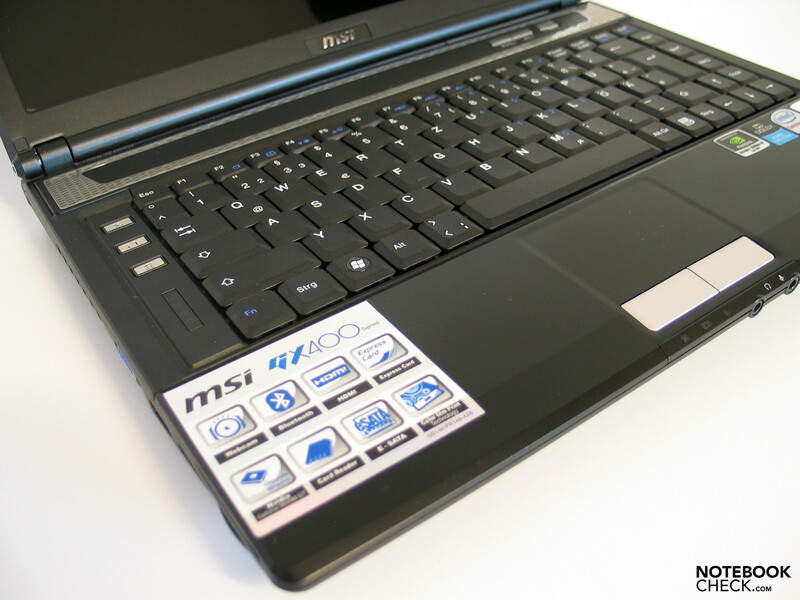 Whether the buyer chooses to get a big, high performance gaming laptop, or a smaller, far more handy, but still good performance notebook, like the MSI GX 400, he/she will almost always find the perfect laptop in MSI's diverse product range. MSI's gaming division can be basically divided into the GT and GX series. The main distinction between the two series is the available graphics performance. The GT series uses graphics cards from class 1 of our mobile graphics cards' comparison, while the GX series uses the weaker graphics cards from class 2 of our comparison. After having tested the other, somewhat bigger models from MSI, such as the GX600, the GX620 and the GT627 (all of which are 15 inch gaming laptops), we now turn towards the GX400, which is currently MSI's smallest gaming specialist. With a 14 inch display, the laptop strikes a fine balance between mobility and performance. 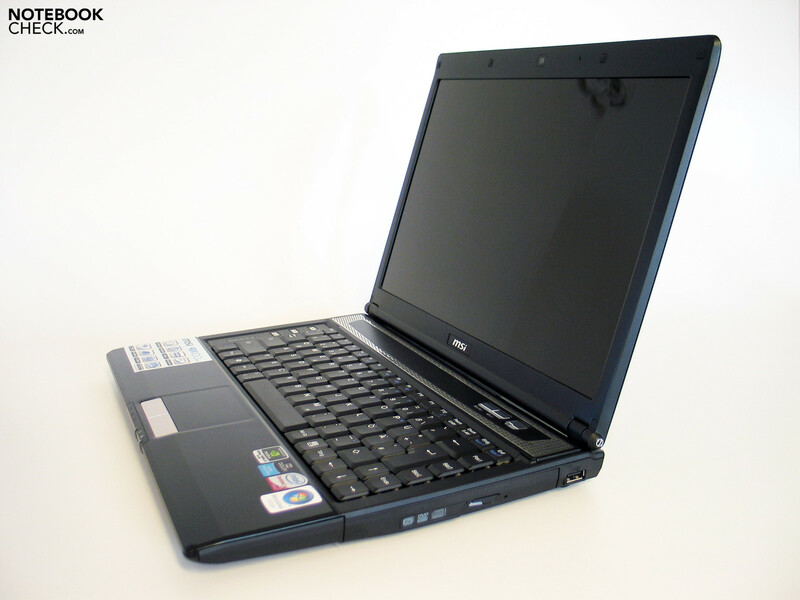 Although the GX400 is optically very different from, for example, the GX 620, some features of its case hint towards the origin of the laptop. 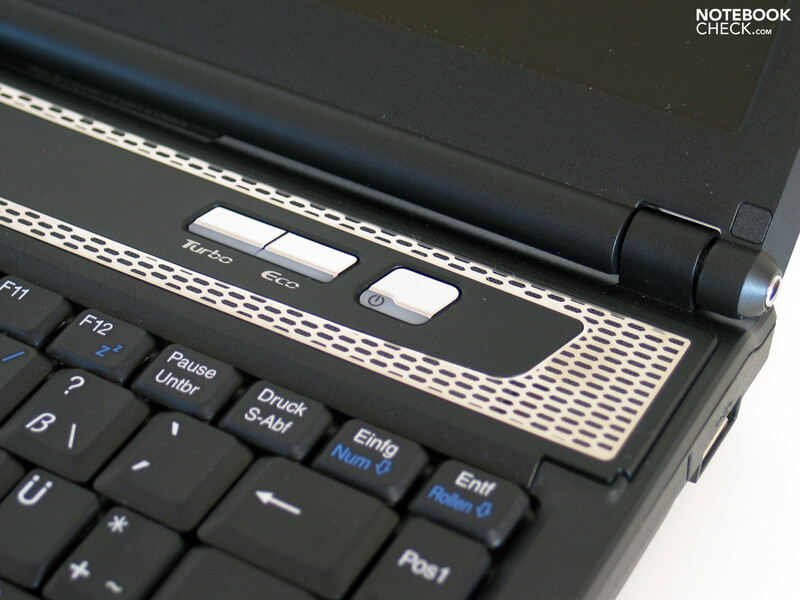 For example, the cover panel (above the keyboard), under which one can find the speakers, also accomodates the well-known Turbo button. This button can be found in most MSI gaming machines, and it allows the user to overclock the installed CPU with the press of a button (further details can be found in the "performance" section of this review). While the other models of the GX series attempt to attract the buyer's attention with a myriad of colours, our test model, the GX 400, has a very conservative appearance. The case and keyboard of our model are both black, and there are no colourful imprints which attract the eye. The only colourful surface of the laptop is the dark blue display cover. MSI has dubbed this rather simple design the "Metal-Blue Edition", and, unfortunately for buyers in Europe, this is also the only colour scheme available. As we do not think that a gaming laptop requires colourful, flashing LEDs, and a really stylish case, to be a proper gaming laptop, we must conclude that the MSI GX 400's design is good enough. However, the manufacturer could not completely conceal the fact that the notebook belongs to a cheaper price segment. After all, the entire case consists of parts made of synthetic material. This is bad because the feel and the sturdiness of this material are not very convincing. 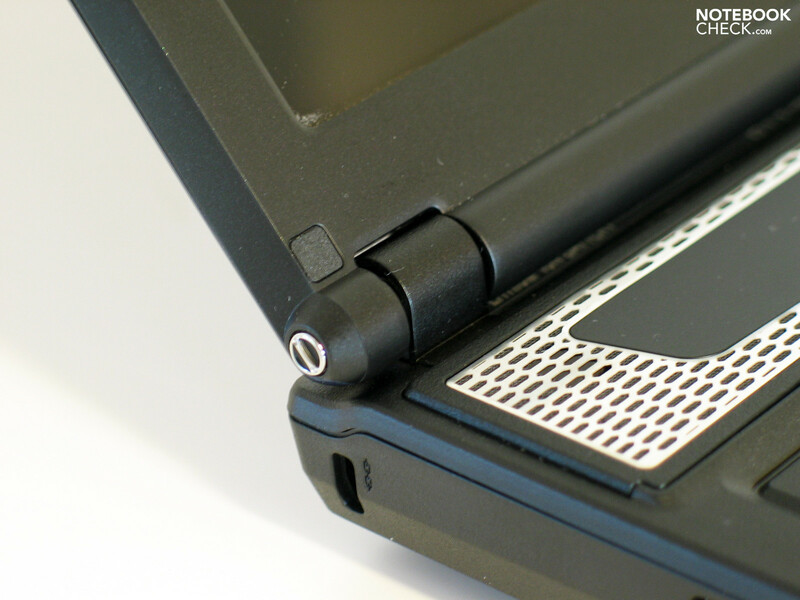 For example, even with the slightest pressure, the base of the laptop can be clearly bent inwards. The case does not react so well either when the front edge of the laptop is lifted up. This action makes the torsion in the base unit and the possible sources of creaking in the laptop evident. The display is not really that much better. 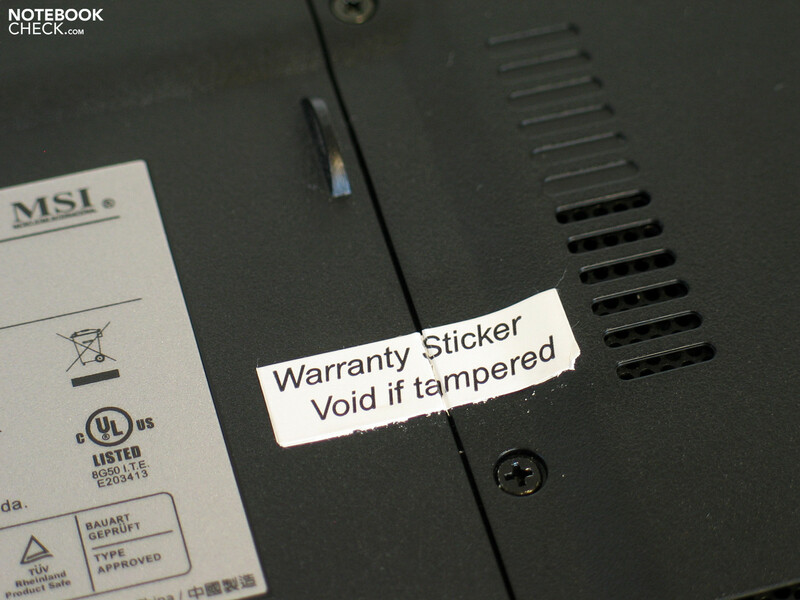 The dislay cover neither protects the display from high pressure nor does it protect it from possible torsions. The display hinges are another big mistake. These look hopelessly under-dimensioned, and they also can not hold the screen in place properly. In fact, the two hinges exert such little force that sooner or later the display will start opening and closing by itself, due to a lack of proper clamping force. 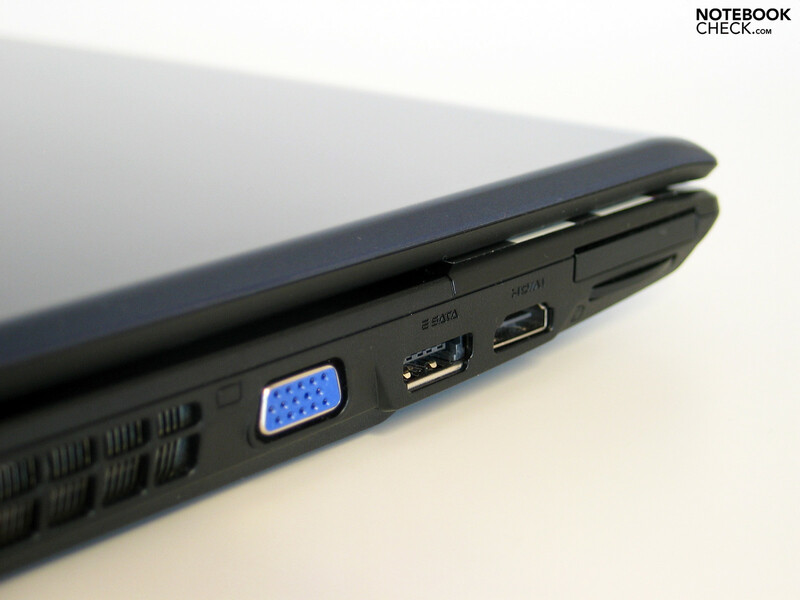 The HDMI port and the combined eSATA/USB interface are definitely two highlights of the MSI GX 400. 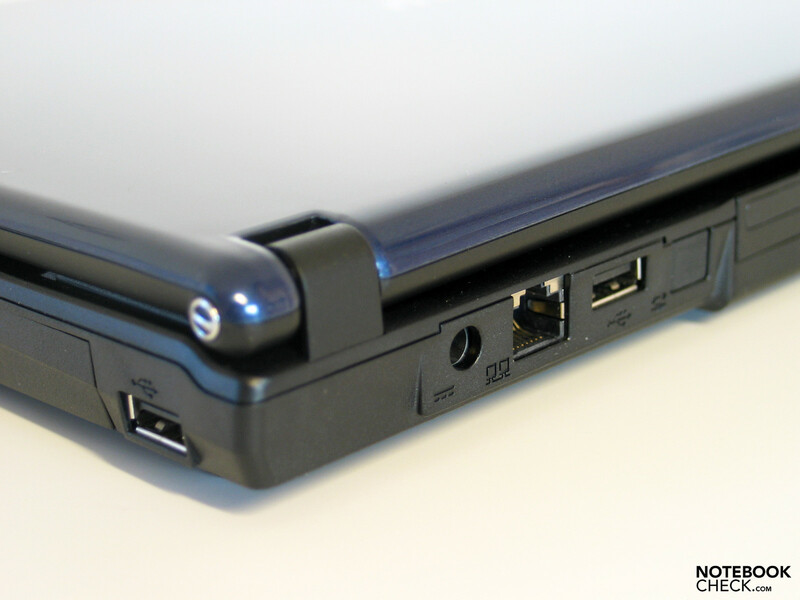 The rest of the ports are standard, as they include two more USB ports, an analogue VGA output, and audio ports on the front of the notebook. Depending the user's personal preferences, he/she will either be pleased or very unhappy with the positioning of the ports offered on the laptop. In the case of the GX 400, MSI has positioned the ports in such a way that their use could be considered okay as long as one does not use too many of them at the same time. 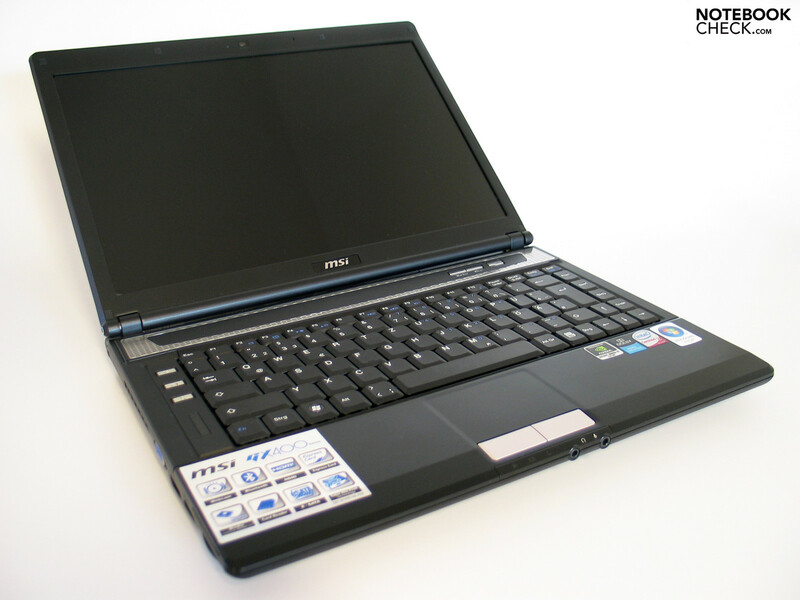 The ports based on the left side of the laptop (the VGA output, the HDMI port and eSATA interface) can be criticized as they are all grouped near the front half of the notebook. Left-handed users will definitely not be pleased when they see that even the cooler fan is positioned on the left side near the back, making life for them even harder. 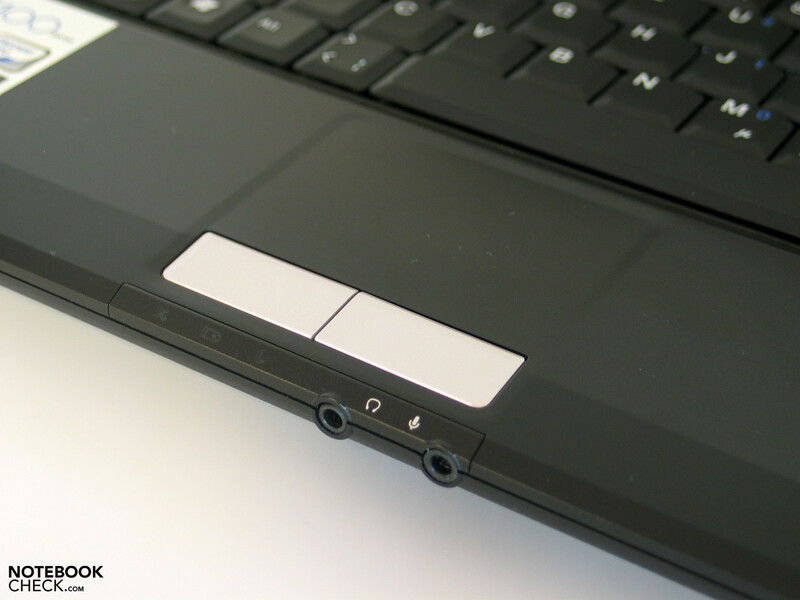 Right-handed users, on the other hand, benefit from the optical drive placed on the right edge, next to the only USB port near the back of the notebook. The optimal usage of the ports with the GX 400 would be the use of the power supply, the LAN, and the USB port, which can be used for the mouse, as they all lie on the back of the laptop, and to use them would mean that the right and left sides of the workplace are free of distracting cables. MSI has decided to equip the GX 400 with a Gigabit LAN connection, so that the user can enjoy the full bandwidth offered by the LAN cables in a multiplayer game. Together with the Intel Wireless 5100 WLAN module (standard 802.11 b/g/n) the hardware in the laptop ensures that all of the user's wireless needs are fulfilled. 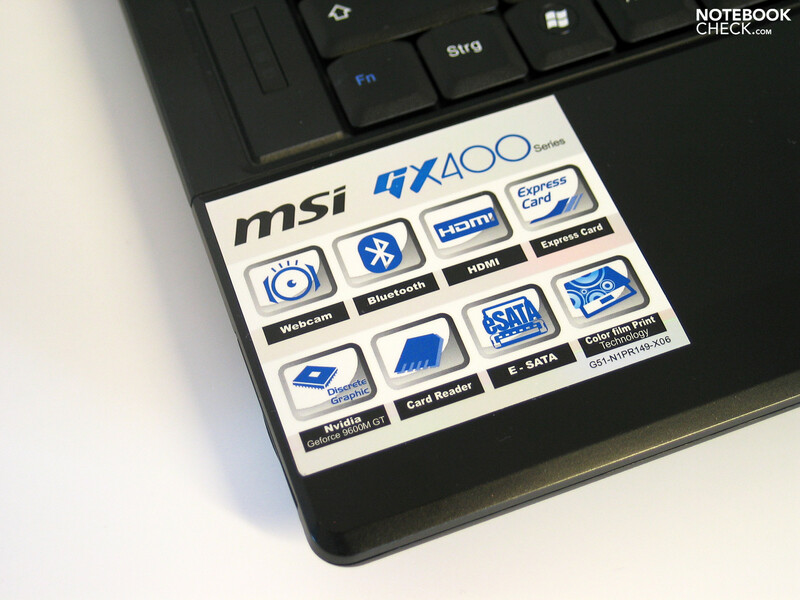 As an additional feature, the MSI GX 400 also has, depending on the model version, Bluetooth 2.0+EDR. If the user wishes to equip the GX 400 with UMTS then he/she can do so over an external USB modem or the 34mm Expresscard port. The operating system, installed on the laptop, is the Windows Vista Home Premium (32-Bit). 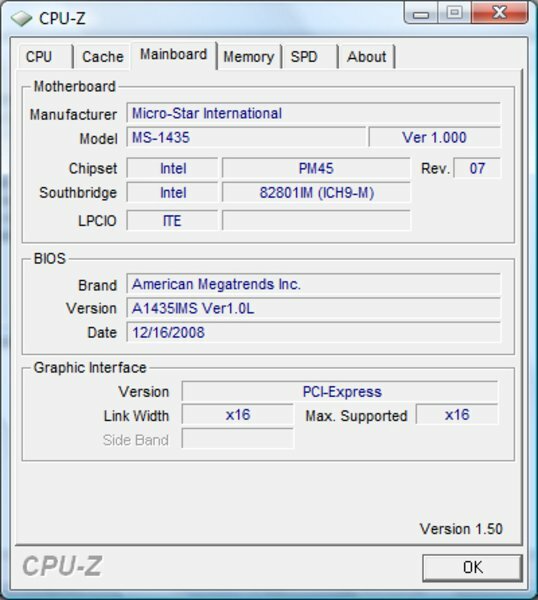 Despite the installed OS, MSI equipped the GX 400 with 4 GB RAM, which Vista definitely can not completely use. To use 100% of the RAM, it would be necessary to buy and install the 64-bit version of Vista. MSI did not offer alternatives to the operating system, but thankfully they did put up drivers for Windows XP on their homepage. The guarantee on the notebook lasts for 24 months. Sadly we were not able to get any details about the possible extensions available. 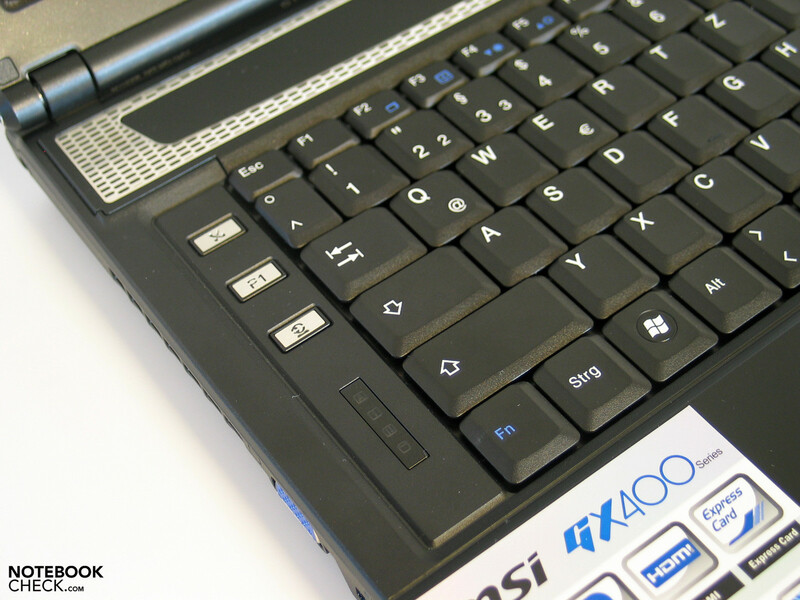 The colourful W-A-S-D keys were the trademarks of all the previously tested MSI gaming notebooks, as these keys are usually the ones which direct the player's character in games, especially in FPS(First-person shooter). Unfortunately, these keys are not to be found in the GX 400, but, on the other hand, the keyboard does have a business-like appeal with the black keys and the white, and sometimes dark blue, letters printed on the keys. Now to the more important factor: the layout. What was MSI thinking when they conceived this keyboard? Generally, a 14 inch case offers enough space to accomodate a big, user-friendly keyboard. MSI, however, manages a work of art by including a row of more or less unimportant keys on the left side of the keyboard. This ensures that the space available for the rest of the keys is effectively reduced to a small area, in which the rest of the keys are crammed tightly. An ugly situation indeed. The small F-keys are placed in a line at the top of the keyboard along with delete, paste and escape. They are raised to half the height of the rest of the keys so as to optically differentiate them from the other keys. This is still okay, however the next two features of the keyboard require more time to get used to. 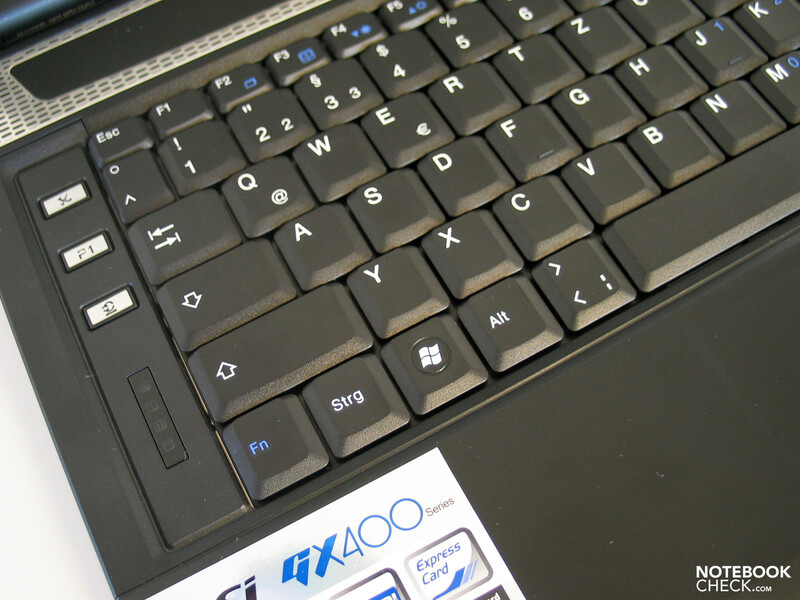 The >< keys are positioned right next to the space bar, which, itself, is placed further to the right of the keyboard. The use of the space bar as the key for jumping in games is thus made harder as it is no longer easily reachable with the thumb, if the user is using the other fingers for the WASD keys. However, the flaws do not end here. 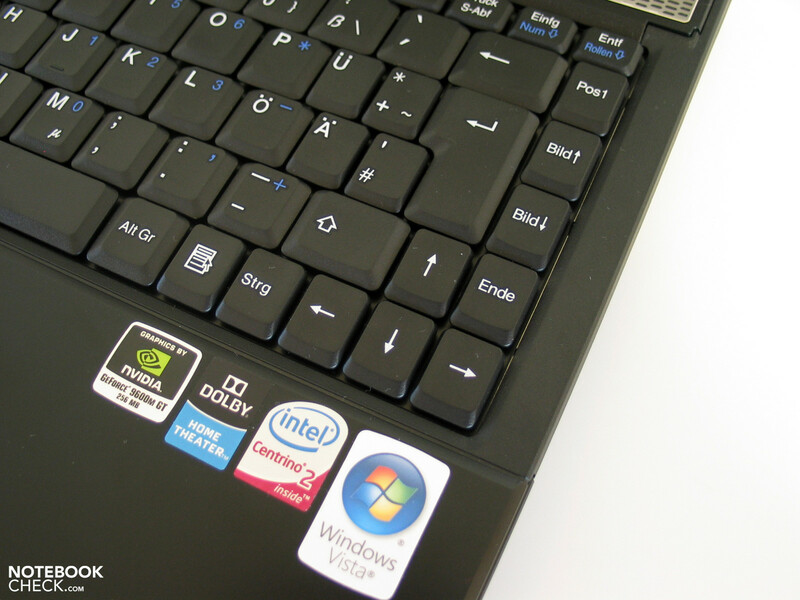 The positioning of the FN-key on the outside left of the keyboard is usually seen on business keyboards, but in a gaming notebook this is a mistake. Usually you would get to the console in a game by pressing ^, however in the GX 400 there is a special button assigned for it instead, which one has to get used to first and till then mistakes are sure to be made. Thankfully, the touchpad is rarely needed for gaming. As the surface of the touchpad is similar to that of the material surrounding it, it did not surprise us that the feel of sliding on it was only modest. However, for mobile use this touchpad has everything that one would require. 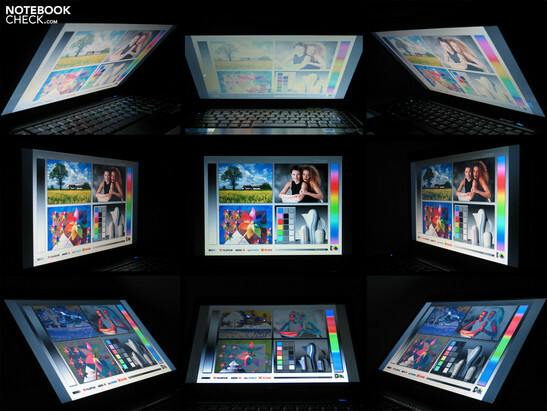 The WXGA-ACV display offers an exact surface of 1280x800 pixels. "ACV" stands for "Amazing Crystal Vision". However, this name seems misleading, as there is nothing amazing about the values of the display which we recorded. Although, MSI does refer to a higher resolution WSXGA+ display on its homepage, we could not find any such displays, at least not in the german-speaking part of Europe. The maximum brightness of the panel (Chi Mei N141I3-L02) was around 196.0 cd/m² in the central region of the screen. However, when one takes into account the brightness in the rest of the areas on the display, especially near the edges where the brightness can fall down to 142.7 cd/m², the total brightness of the screen falls heavily to about 164 cd/m². The maximum illumination suffers due to this fall in brightness, and decreases to only 72.8% which is a rather weak value. The display colours can be seen as good or bad depending on the user. However, the maximum possible contrast is only 158:1 which is rather low. Wireless trips with the GX 400 outdoors are not recommended due to the mirroring surface of the display, and because the, at best, modest, brightness can not cope with the brightness outdoors. The typical weaknesses of the display are evident, such as the stability of the viewing angle. The colours change rapidly when the viewing angle changes vertically, however if the viewing angle changes horizontally the picture is much more stable in its colours. However, the glare panel makes sure that distracting reflections are present along both axes at flat angles. 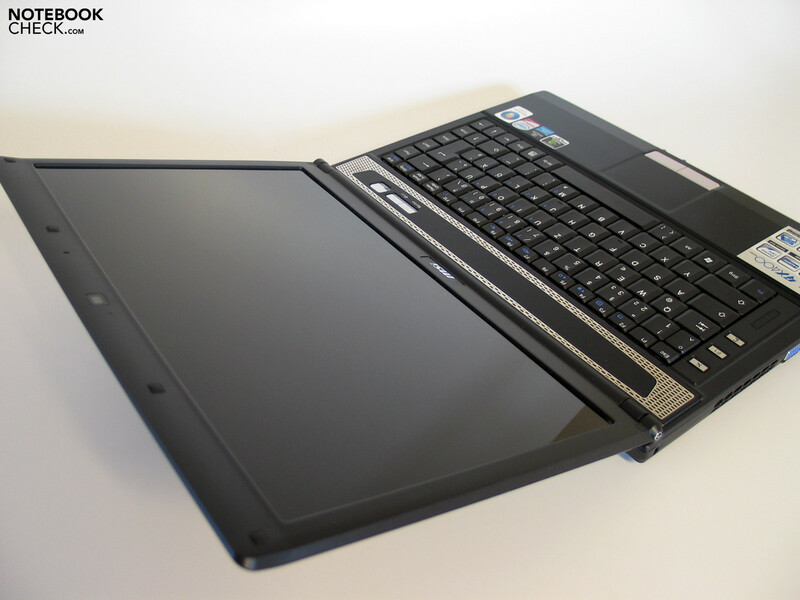 We recently tested the LG P310, a slim 13 inch notebook equipped with the Geforce 9600M GT Grafik from Nvidia. The same graphics chip is also installed in the MSI GX 400, but there its performance is only half as impressive as in the LG laptop. Still the GX 400 is one of the smallest notebooks of MSI's laptop palette, and it meets the current mulitmedia standard, with its Intel Dual Core CPU and the GeForce 9600M GT graphics chip, which dictates that even playing the latest games should be possible. The CPU in the laptop is the P7350 chip from Intel, which is a processor of the current Penryn generation (45-nanometer), with a FSB of 1066 MHz, a 3 MB L2-Cache and running at 2 GHz. It is worth mentioning, in relation to the above, that the P series has, when compared to Intel's T series, a lower TDP value of 25 W which enables smaller cooling needs of the system. Like in most MSI gaming laptops, the GX 400 has a "Turbo" button. By pressing the button, the installed CPU can be easily overclocked. 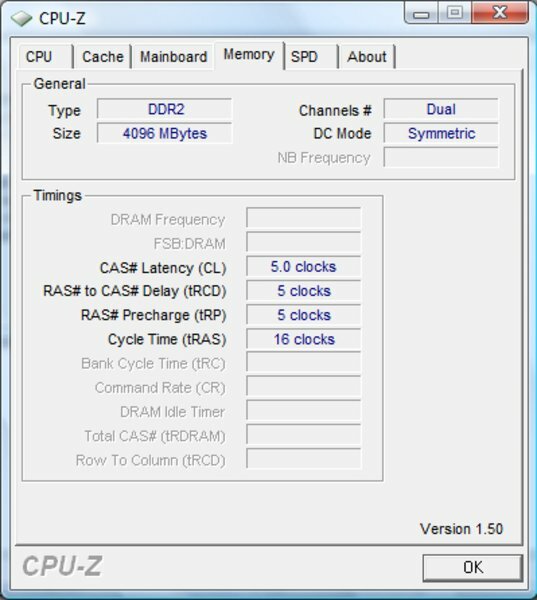 This does not directly influence any other hardware in the laptop, and can easily overclock the CPU to 2.314 GHz (data from our test model). This is a plus in performance of around 16%. However, overclocking the CPU will also increase the rate at which the cooler fan is spinning, thus increasing the noise emissions. Theoretically one could say that currently a dual-core processor with a high frequency can deliver more performance, especially when playing games, than a quad-core clocked at a lower frequency. More information about this principle can be found in our test of mobile quad-core processors. Of course, in the case of the MSI GX 400 a quad-core CPU is out of the question, as these mobile CPUs are found in laptops in a completely different, and much more expensive, price region. No, here in the case of our test model its more interesting to see how effective the "Turbo" button really is. In the 3D Mark 2006 benchmark the MSI GX 400 achieved, at a resolution of 1280x1024, 5010 points. The score of the CPU itself was around 1813 without overclocking. With the "Turbo" function activated, the total result rose by around 2% to 5128 points. However, the score of the CPU rose by 16%, after overclocking, which increased the score of the CPU to 2103 points. 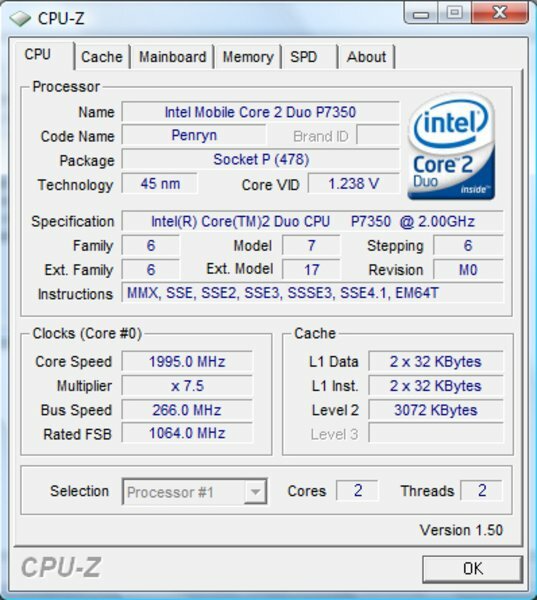 With this score, the overclocked P7350 CPU is at the same level as the P8600 chip from Intel. The increases in performance from the boost function were recorded with the Cinebench R10 benchamrk. The results of the test were especially good in the single- and dual-core rendering where an increase of 15.9% and 15.7% respectively could be recorded. Moreover, the overclocking function managed to get an additional 10% in performance in OpenGL Shading. One can clearly discern from these two test results that the "Turbo" mode will not deliver very high increases in performance in games, as there the GPU (Graphics Processor Unit) is the factor that determines how good the quality of the gameplay is. More detailed information to this topic can be found in the gaming performance section. 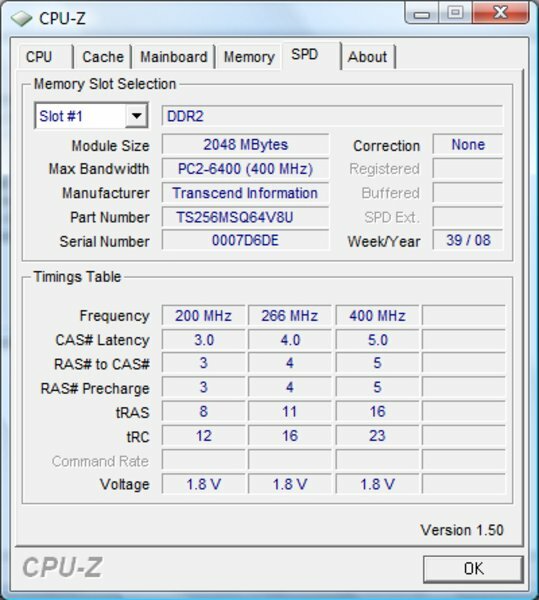 MSI did not need long to decide the amount of RAM which should be installed in the GX 400. They put in the maximum supported 4 GB of RAM in the laptop while it is being assembled. 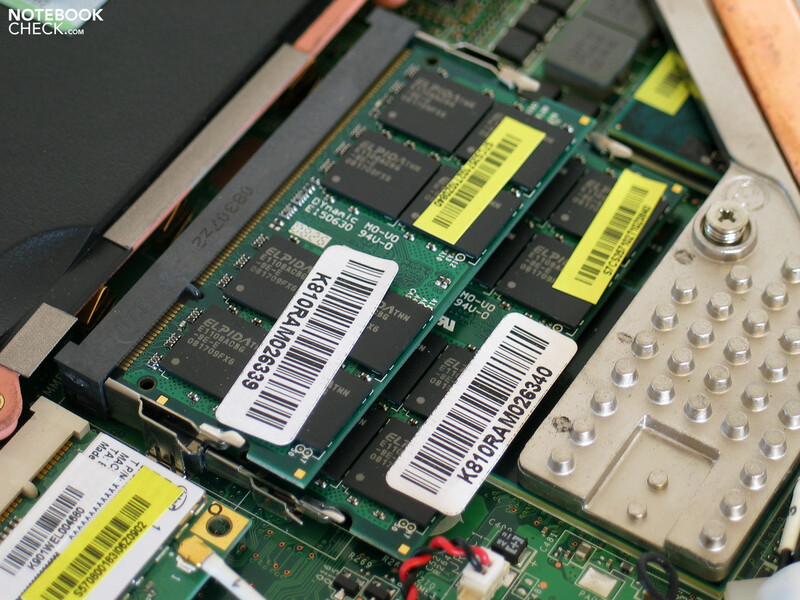 The RAM comprises of a pair of 2 GB DDR2 PC2-6400 RAM modules. The amount of RAM is surprising as the maximum amount supported by Windows Vista Home Premium 32-Bit is around 3GB. This means that around a quarter of the total RAM is going to waste. 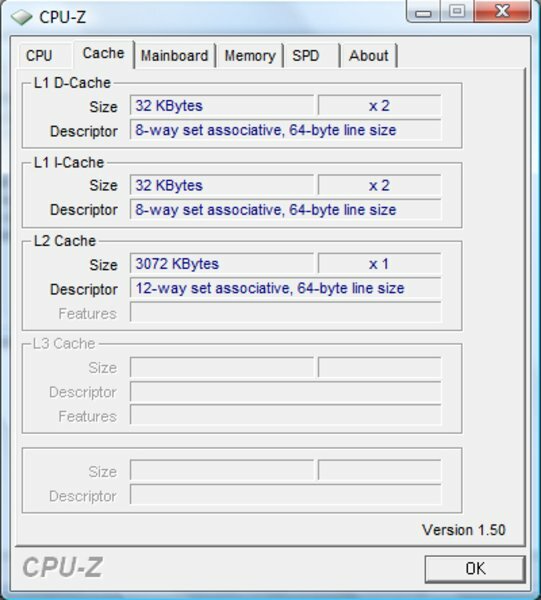 Only when the user buys and installs a 64-bit OS, can he/she fully utilize the 4 GB of RAM. MSI used a 320 GB hard disk, spinning at 5400 rpm, as the storage device for the GX 400. 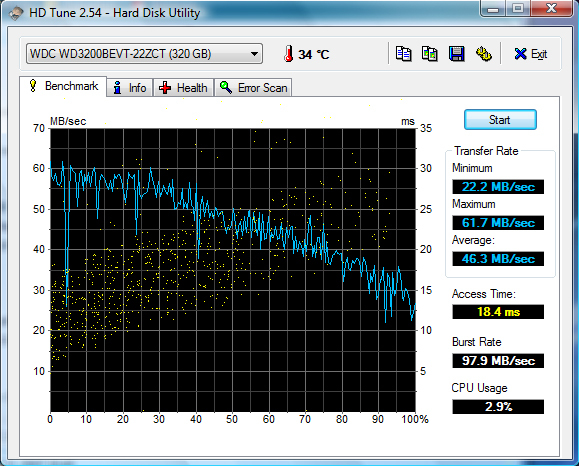 The results of the benchmark with the hard disk lay in the average region. Now to the "hopefully" amazing performance of the MSI GX 400 in its supposed discipline: games. We ran a few of the latest games on our test model and noted the results, especially when the "Turbo" mode was switched on. This ego shooter game has been a hurdle for even the best performance laptops that are out on the market currently. So it's no surprise that the GX 400 had a hard time delivering a fluid gameplay. While the resolution was set at 1024x768 and the details were set to low, the notebook could actually give a pretty good result of 58.8 frames per second (fps) in the GPU benchmark. The CPU benchmark, which is integrated in the game, delivered a result of 56.9 fps which is also good. However, as soon as the graphics level was bumped up to medium, the quality of the gameplay rapidly fell. With low details, the Turbo mode could increase the performance by a slight measurable amount. However, when the details level was raised, this increase in performance rapidly fell to a negligible amount. To conclude, the "Turbo" button could not really increase the performance of the laptop enough to improve the gameplay significantly. Things got a bit more interesting when we tested the CPU intensive, strategy game: Supreme Commander – Forged Alliance. We once again used the performance test integrated in the game to get our results. We noticed a similar trend to Crysis here too, as, when the graphics were low, the overclocking function seemed to increase the gameplay by a much greater amount. The performance test, which ran with a resolution of 1024x768 and medium details, gave an average result of 22.6 fps, which could be boosted in turbo mode to a good 27.2 fps. This was an increase of around 20%. A further increase of the detail level to high, and 2x anti-aliasing (AA) lowered the fps to 19.5 (without overclocking) and 21.8 (with overclocking). Any self-respecting, gaming laptop manufacturer is sure to test his creations by running Call of Duty 4 - Modern Warfare on it, as it is an absolute must for gaming laptops to be able to run this game. We tested the successful multiplayer shooter on the notebook by playing part of the first single player mission and noting the performance details. At a resolution of 1024x768 pixels, middle details level, and deactivated AA, the MSI GX 400 showed a good performance of, on average, 122.38 fps. When the turbo boost was activated, the result rose to 142 fps, which is an increase of about 16%. After an increase of the graphics details to high and 4x AA, the quality of the gameplay broke down, and the increase in performance from the overclocked CPU became negligible. 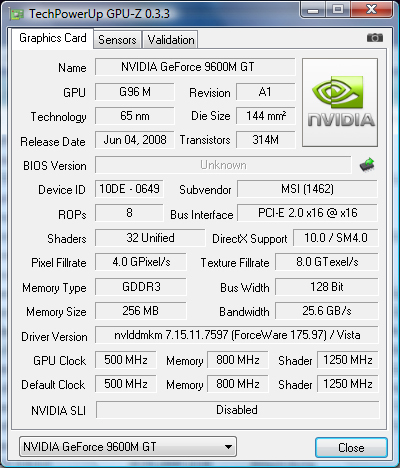 At these settings, the fps were recorded as 48.94 fps (without overclocking) and 48.92 fps (with overclocking). At this rate, CoD 4 was still somewhat playable, whether with or without turbo. So as to vary the games a little, we decided to run the racing game, "Racedriver - GRID" next. To divine the fps, we raced for one round as the BMW team from Germany. The basic trend which we have noticed in the three games above seems to continue here. With low details, the resolution set at 1024x768, and 0xAA, pressing the overclock button increases the performance slightly. However, if the graphics levels are increased, then suddenly the performance boost from overclock feature drops to a negligible amount, and the CPU's influence on the quality of the gameplay dwindles. In this case, the GPU becomes the factor which limits the performance of the laptop in the game. With higher graphics settings, the game was still playable but the gameplay was plagued by short spans of time where the game froze. This negatively impacted the feel of the game and, more specifically, the time it took to complete one round. 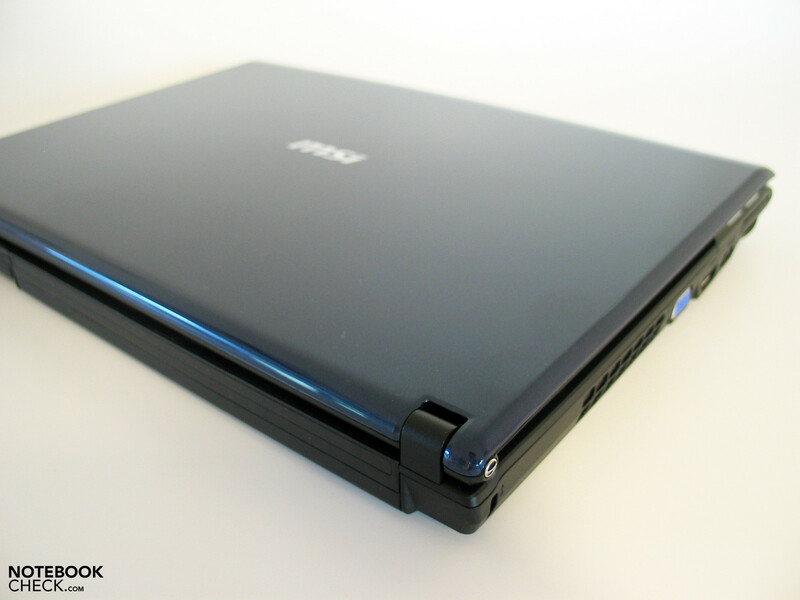 The MSI GX 400 has a constantly running fan, just like many other compact and high-performance laptops. 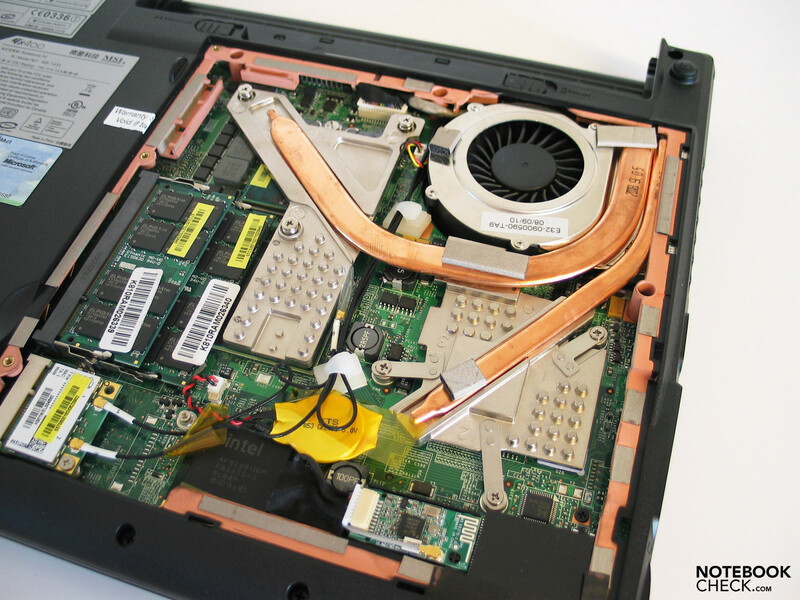 Even when the computer is idle, the hardware installed in it generates enough heat for the notebook to require the fan for cooling. Even when the laptop is placed in the well-intentioned "Eco-Mode Office" energy saving scheme, which restricts the processor's frequency to 1.6 GHz, the laptop still needs the fan to blow the heat out of the laptop. 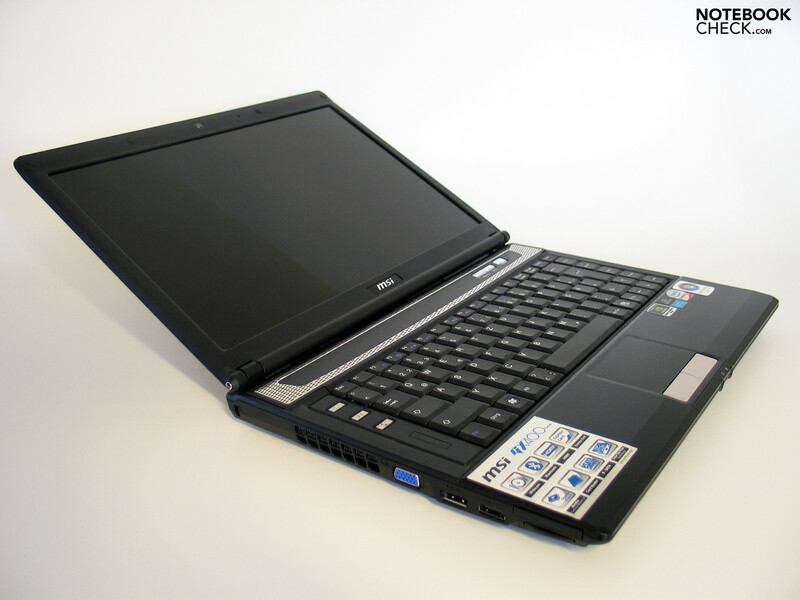 When the notebook is idle, or the user is running Office programs which do not require a lot of performance, the laptop has a noise emission of 34.0 dB(A), which is clearly audible, but, with some patience, any user can get used to it. However, the noise emissions are much higher when the CPU has a big workload. In that case, the GX 400 can reach a maximum noise emission of 47.4 dB(A), which is really loud. The activation of the "Turbo" mode further increases the rate at which the fan is spinning, thus increasing the noise level to 51.1 dB(A), which is a really high value. The notebook is really loud in this mode, and headphones are recommended when the user wants to play games. There are quites few problems with a compact case which contains high performance hardware. One of those problems is the temperature. The surface of the MSI GX 400 can reach up to 42.1 °C under heavy CPU usage. The bottom of the laptop is even worse. Here the temperature can rise up to 50.3 °C. So running the laptop with heavy CPU usage is not recommended, if the laptop is placed on the lap or on soft documents. (±) The average temperature for the upper side under maximal load is 35.5 °C / 96 F, compared to the average of 30.9 °C / 88 F for the devices in the class Multimedia. The maximum volume of both of the mini-speakers, which are integrated above the keyboard, is not very high. The same applies to the sound that emanates from them. When playing music, the melodies sound too thin and tinny, as they come out of the metal cover (which is covered with air holes) over the speakers. So, as with many other laptops, headphones are recommened for the GX 400. The MSI GX 400 is equipped with a 6-cell lithium-ion battery, which has a capacity of 51.8 Wh, right at the factory where it is being assembled. MSI announced that a bigger 9-cell battery will be available, but that this battery would, supposedly, stick out of the back of the laptop a bit. We have not yet received detailed information about the 9-cell battery, such as price, availability, and storage capacity. 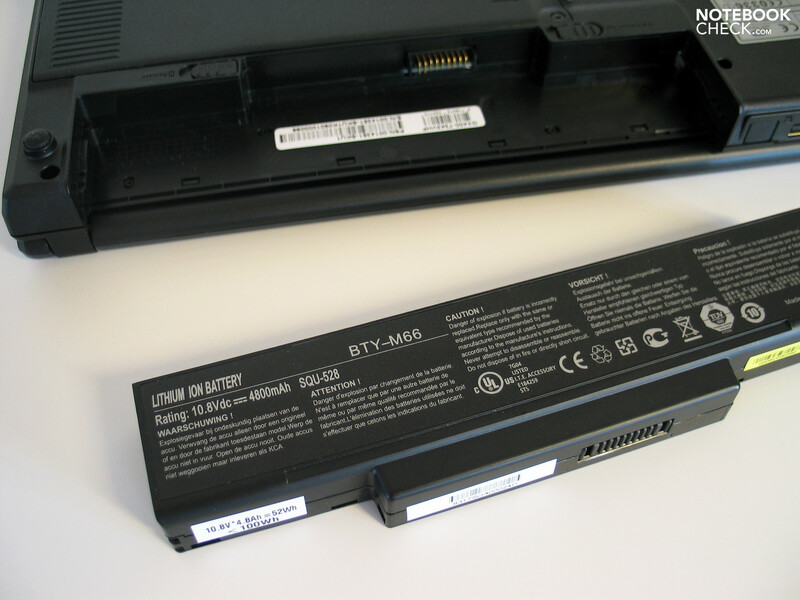 The 6-cell battery used in the laptop gave the power-hungry GX 400 a maximum battery life (BatteryEater Readers test - minimum brightness, energy-saving mode, and deactivated WLAN) of a mere 152 minutes. The battery life quickly fell when the CPU was under heavy usage, in the BatteryEater Classic test (maximum brightness, high-performance mode, and active WLAN) to only 69 minutes. So the practical runtime of the laptop, when it is running on battery, can vary between these two time periods depending, of course, on the usage of the laptop. When playing a DVD, the notebook managed to run for around 100 minutes, whereas while using the WLAN the runtime lay about 130 minutes. 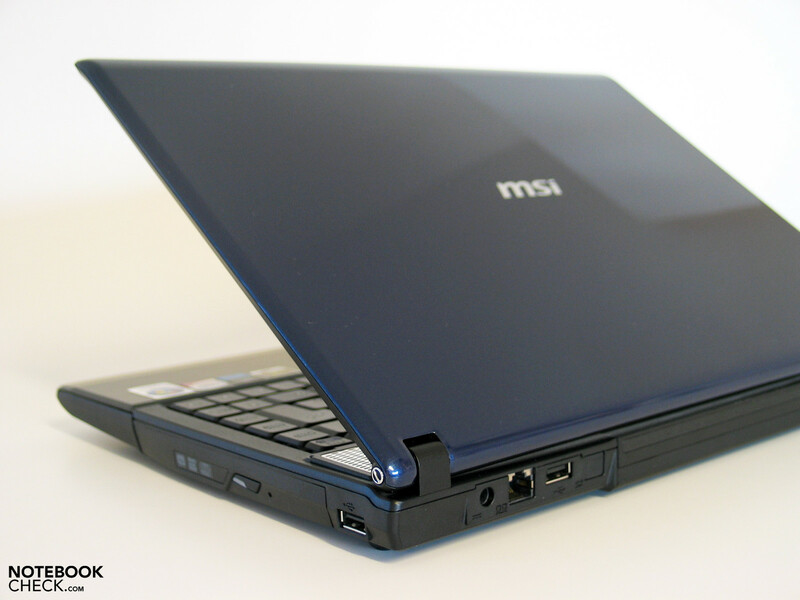 Despite the compact size of the MSI GX 400, it is not recommended that the user runs the laptop on battery alone. 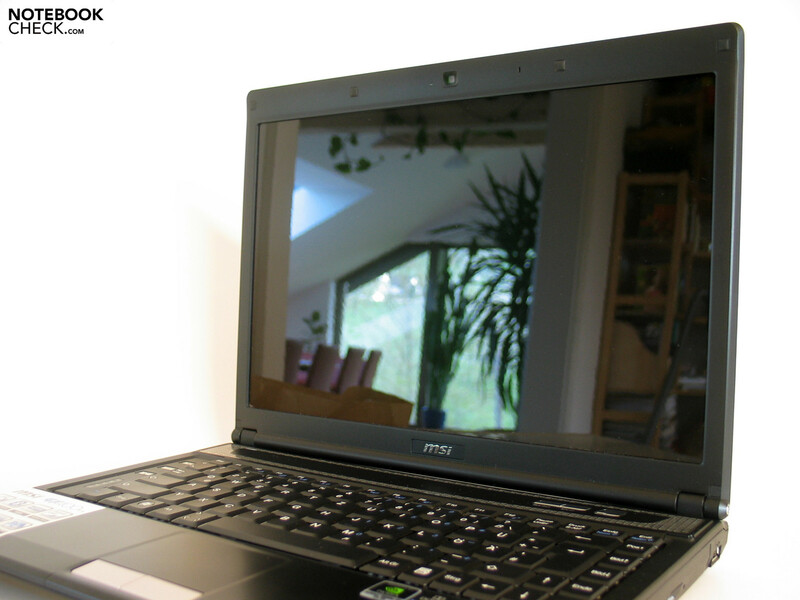 As the runtime with minimum energy usage lies around 2 hours, it is possible to make short trips with the laptop. However, the user should not allow the CPU usage to get too high, otherwise he/she would deplete the battery of the laptop very quickly. If you are looking for a compact laptop with high-performance graphics hardware, then the MSI GX 400 should definitely be on your "wish" list. Moreover, the price of the laptop is low enough to attract potential buyers, which make this notebook even more desirable. However, a compact laptop which delivers high performance for such a cheap price sounds too good to be true. One look at the various flaws of the laptop confirms this suspicion. 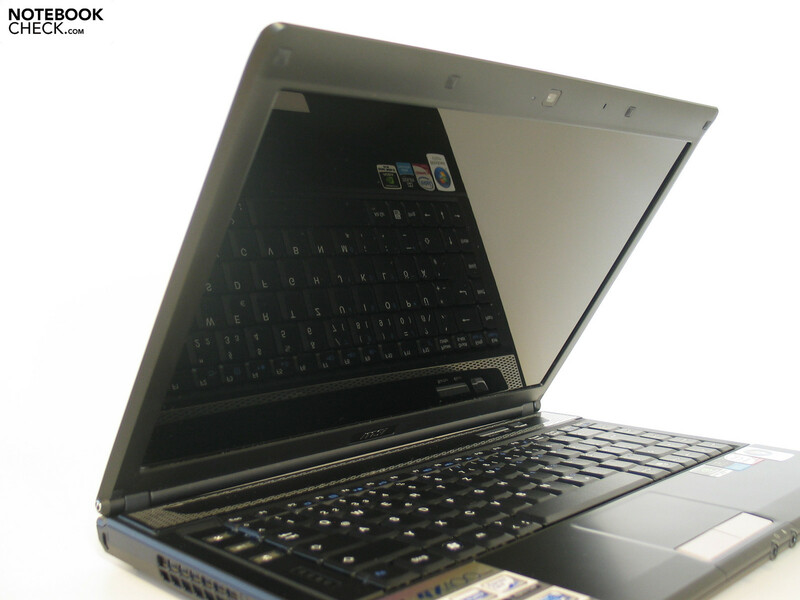 The case of the laptop reflects the price of the GX 400. 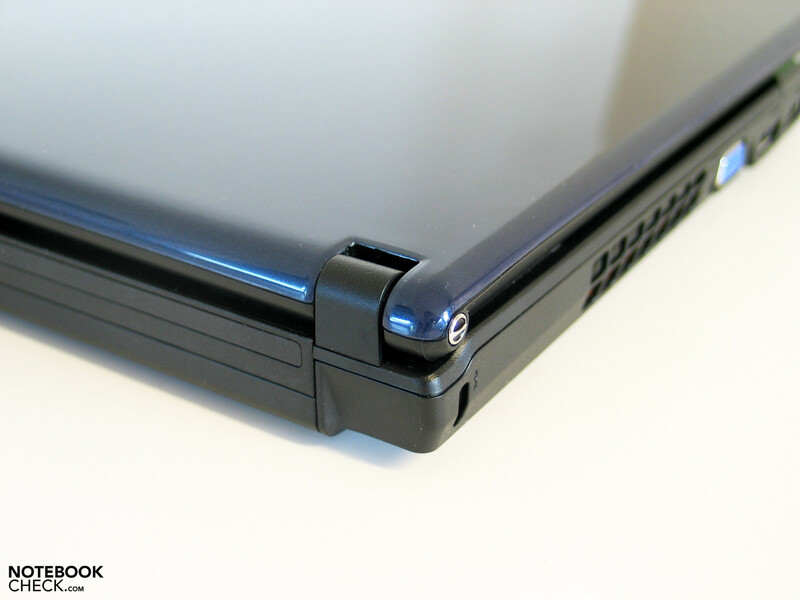 The plastic chassis of the notebook can be easily bent in places, making it vulnerable to bumps and falls. The puny hinges have a hard time holding the display in place. However, despite these flaws, the connections offered on this gaming machine are extensive indeed! The HDMI and eSATA ports, along with the rest of the ports along the sides of the laptop, fulfill almost any of the user's basic needs. Sadly, the GX 400 does not have a firewire port, which is the only missing element from this near perfect mix of ports. 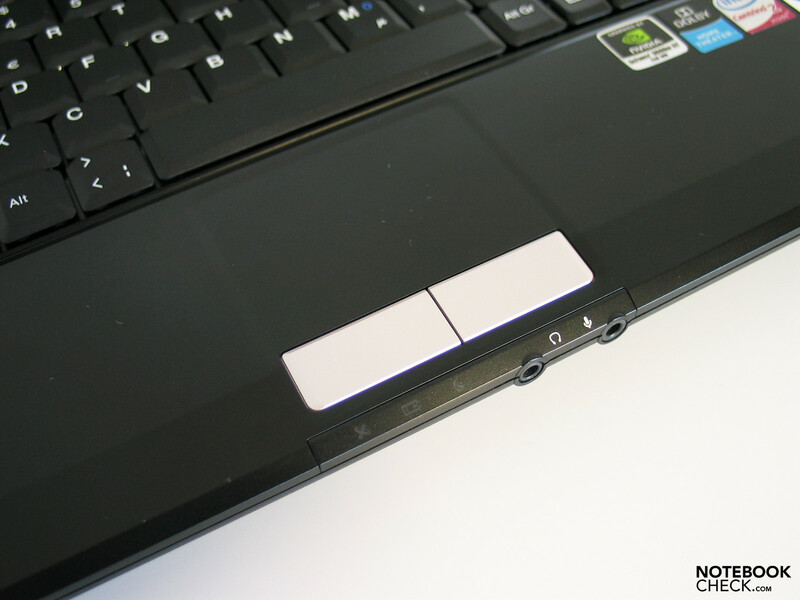 One of the aspects of the laptop, which we heavily criticized, was the keyboard built into the notebook, which does not use up the entire width of the notebook's case. The keyboard also has three additional keys which are more or less unnecessary, and without which the keyboard would have been much less crammed with keys. Finally, the layout of the keyboard itself is questionable. The points scored in the performance benchmarks lay in the expected region. the dual-core CPU from Intel works hand in hand with the Nvidia GeForce 9600M GT graphics card to deliver enough performance for the laptop to run many of the latest games. However, it is recommended that the user not set the resolution or the game details high, so as not to diminish the, at best, passable performance of the installed hardware. The "Turbo" button, which overclocks the CPU, is a very nice feature, however, in practical use with many of the latest games, it does not yield impressive results, unless maybe if the graphics are set low. As mentioned before, in this case the GPU becomes the factor which limits the quality of the gameplay. The emissions are also predictably high. The temperature, on the bottom of the laptop when the CPU is under heavy usage, and the noise emissions from the laptop can both reach really high levels. Those two are important points which must be thoroughly considered before buying the MSI GX 400. However, users, who put especially high importance on the dimensions of the laptop, and its performance with the latest games, should be able to bear these flaws. 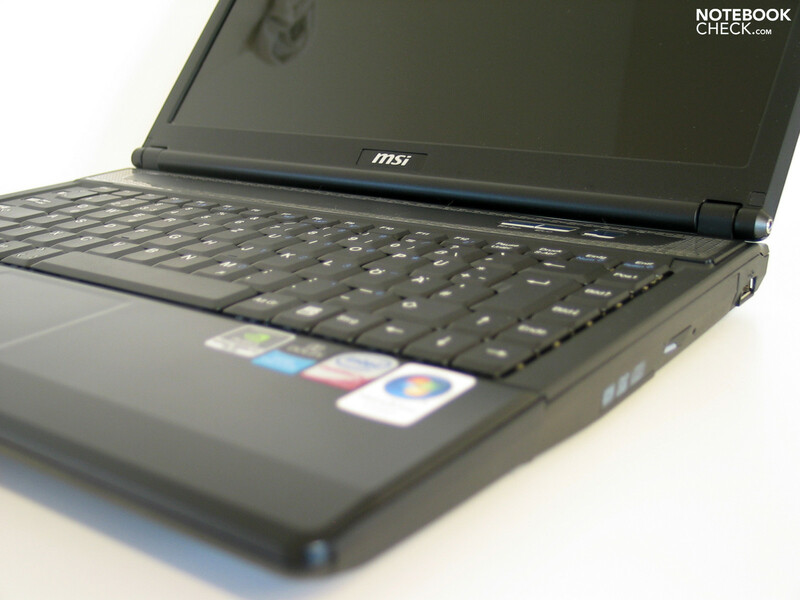 However, there are still a few other unfriendly details about the MSI GX 400 which the user has to get used to before he can truly enjoy using of the laptop. One major positive factor which dwarfs all these negative aspects: the price. At 830 euros this laptop is sure to lure more than a few buyers. MSI has decided to give the GX400 a 14" display with a resolution of 1280x800 pixels. The screen does not have good enough values to be convincing. The display shows a below average illumination and contrast. Cleary, MSI does not like curious people with screwdrivers like us. 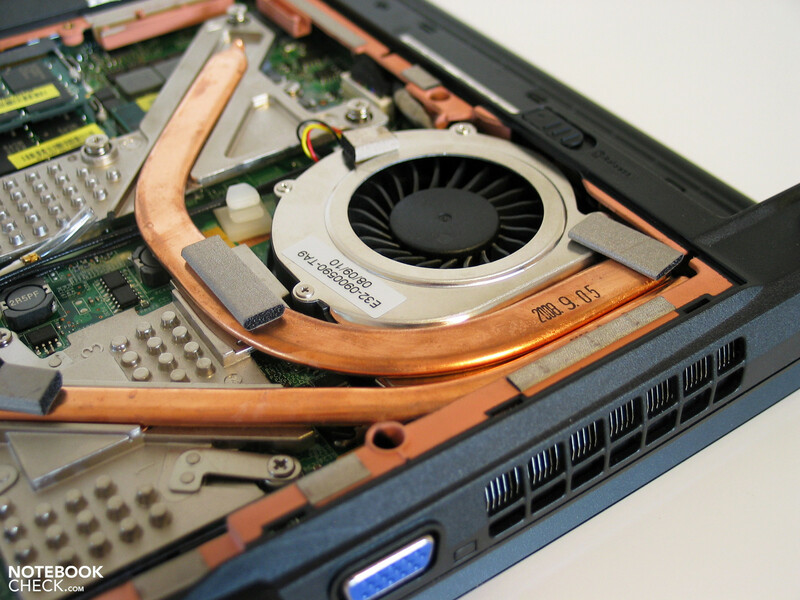 Under the hood of the GX 400 lies a dual-core CPU from Intel and a 9600M GT graphics card from Nvidia. With the above-mentioned hardware, this notebook has everything required for a standard multimedia laptop. With the press of a button, the P7350 CPU can be overclocked to a speed 16% higher than the original 2 GHz. 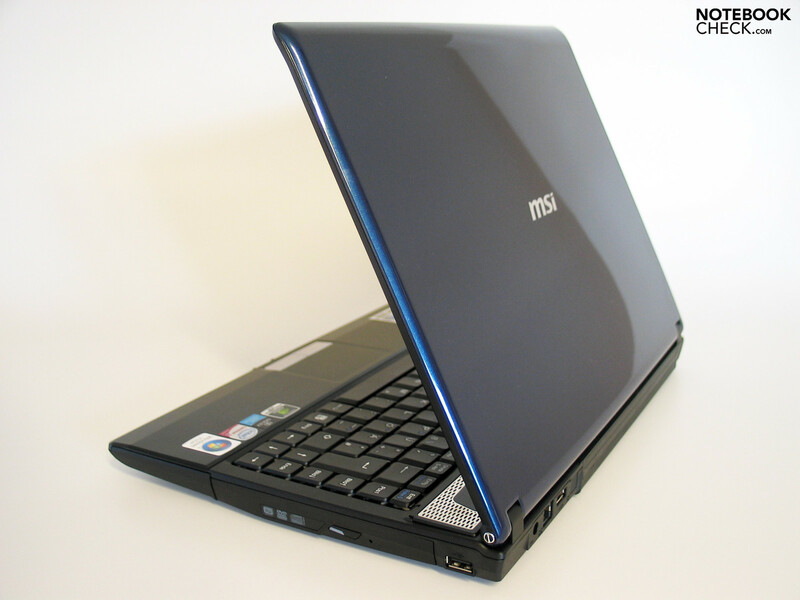 MSI equipped the notebook with 4GB of RAM, which is also the maximum RAM supported by the laptop. ...and the rather high temperatures of the bottom of the case, which can get hotter than 50°C. The built-in speakers do not sound very good. Even cheap headphones would deliver better sound quality. The quality of the touchpad is still somewhat okay. ...and it also does not offer big enough keys to properly manipulate the keyboard. ...seems to be a compact laptop with a rather conservative design. 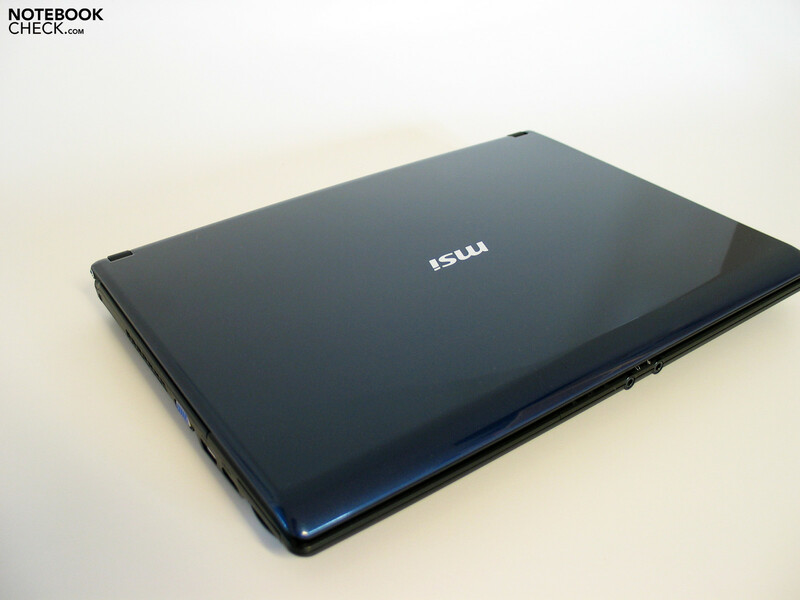 The only colourful part of the laptop is the glossy, dark blue display cover. Other than that, there are barely any colourful parts in the case of the laptop. Sadly, neither the feel of the synthetic material, of which the case is made, nor its sturdiness are good. It is clear that this laptop belongs to a cheap price range. ...they are also in practical use not strong enough to hold the screen in a fixed position. 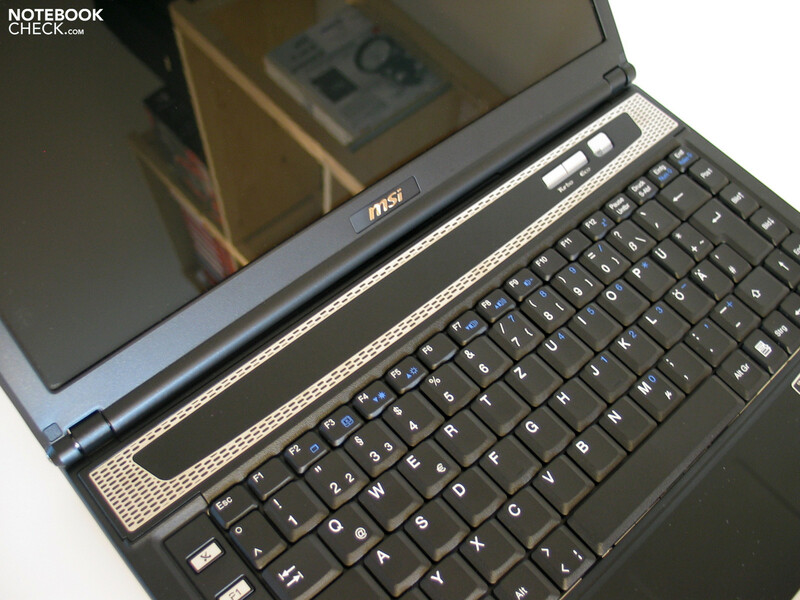 Still, MSI has managed to equip the notebook with an extensive range of ports. 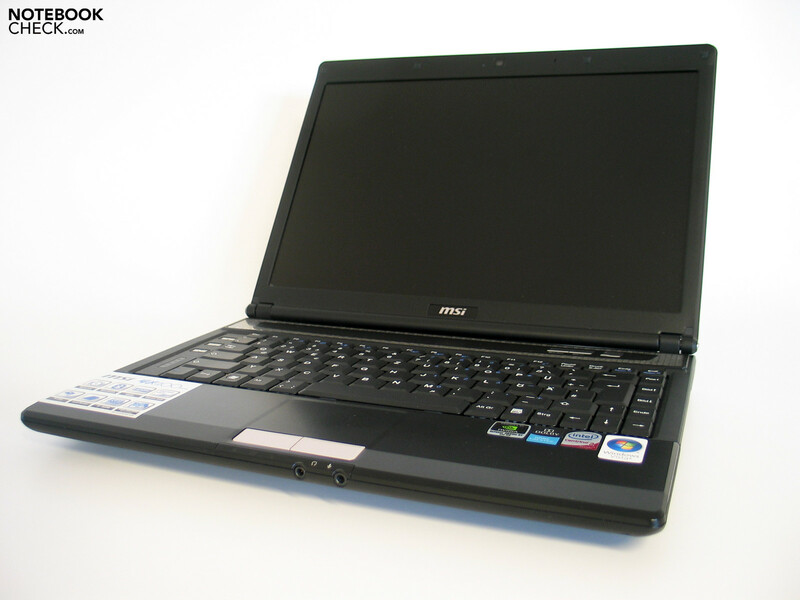 A HDMI port, as well as a eSATA/USB (combined) port are included among the range of connections offered by the laptop. As long as one only uses the basic ports, which are in the back, the positioning of the ports is okay. However, MSI can not expect people to be enthusiastic about such a cramped keyboard. Finally, the battery life of 2 hours without a power supply is rather short. Like the LG P310, the MSI GX 400 has incorporated the idea of a compact gaming notebook, which performs just as well as the bigger 15.4 inch models. The rather convincing appeal. 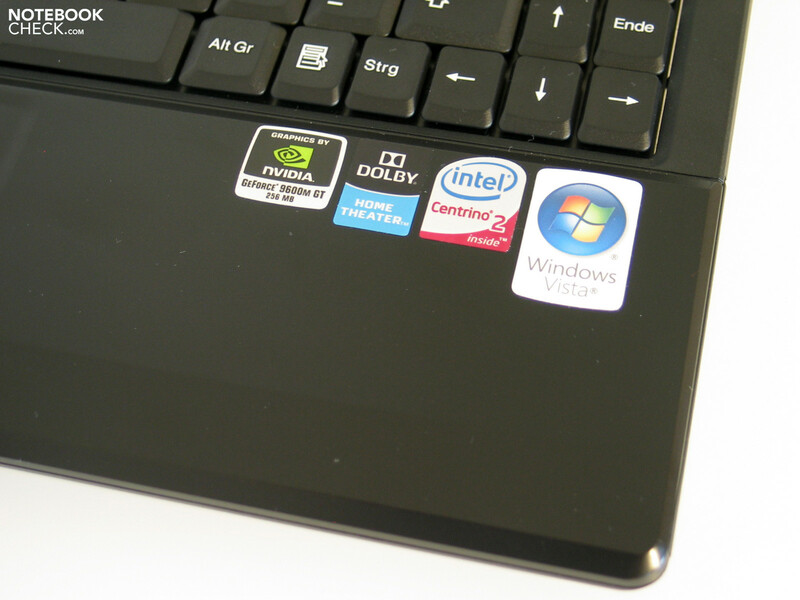 We found a lot of minor flaws in the laptop as we went through our test, and each flaw marred its appeal further. 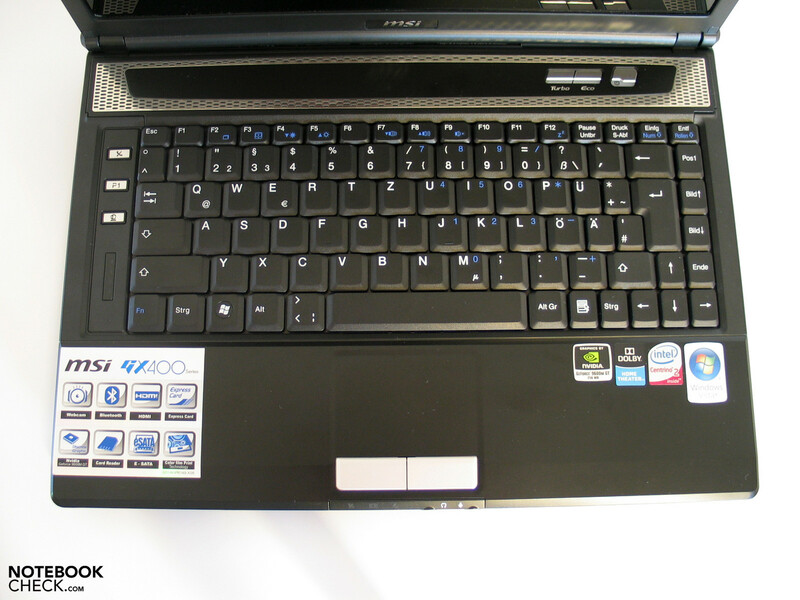 How the manufacturer could possibly use such a keyboard for the laptop. Inexplicable.